Composed by Jacques Offenbach (1819-1880). 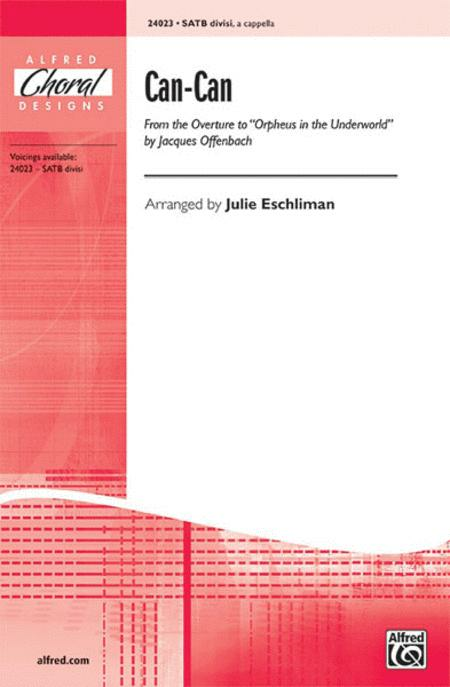 Arranged by Julie Eschliman. 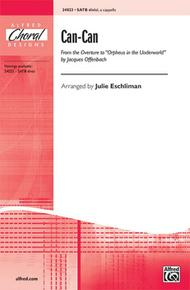 Masterworks; Performance Music Ensemble; Single Titles. Choral Octavo. Choral, Classical Period and Opera. Octavo. 16 pages. Alfred Music #00-24023. Published by Alfred Music (AP.24023). 9x12 inches. Key: D major. English. A must-have novelty number for choirs with a sense of humor! Offenbach's most famous overture has been skillfully arranged with familiar melodic themes that pass between sections of the choir, while remaining singers provide a rhythmic choral accompaniment. Achievable a cappella that your choir "can-can" master.